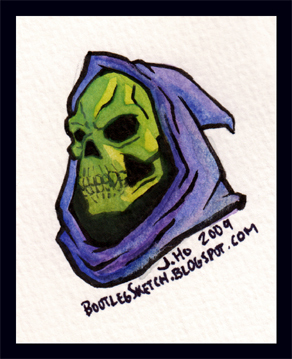 Hey look, I drew a thing from He-Man! Remember when I used to do that all the time? 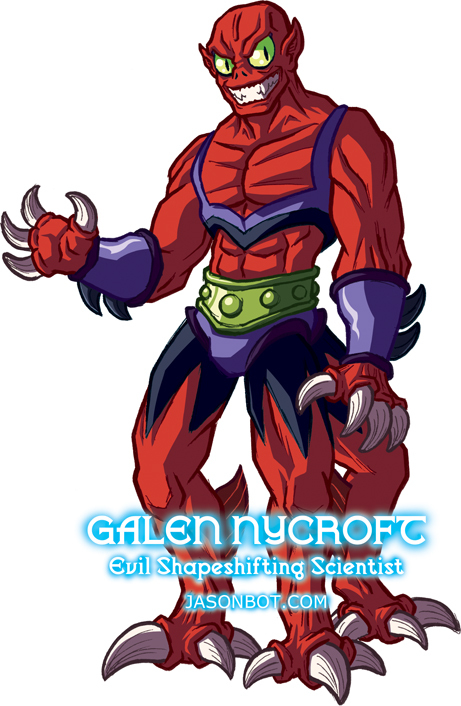 Today’s subject is Galen Nycroft, better known as the cartoon version of Modulok. Of course, in my typical strange manner, I have decided that Galen Nycroft and Modulok should be two different characters. They’re both scientists–Modulok being an alien in the employ of the Horde, and Galen being an Eternian human who mutates himself with a sample of Modulok’s DNA. 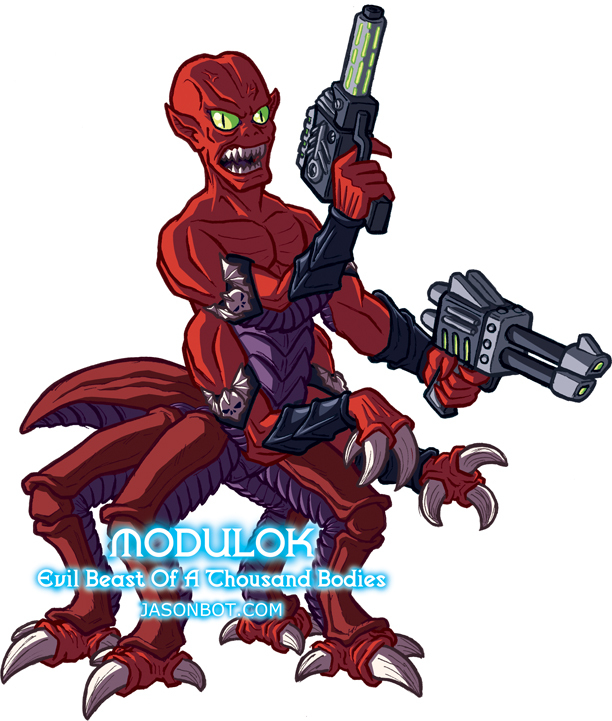 I’ll post my drawing of the toy version of Modulok on Friday. 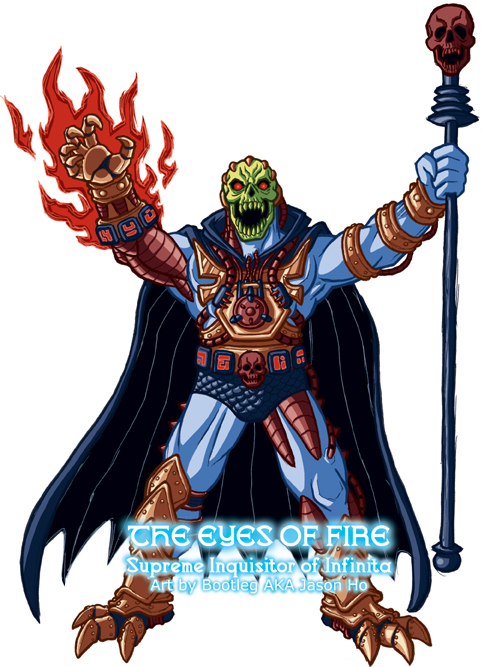 In Eternal Darkness, Darkdream cannot survive under sunlight, and is shown to have some kind of connection with Evil-lyn–she is his ally and it is implied that Darkdream has power over her magic wand. 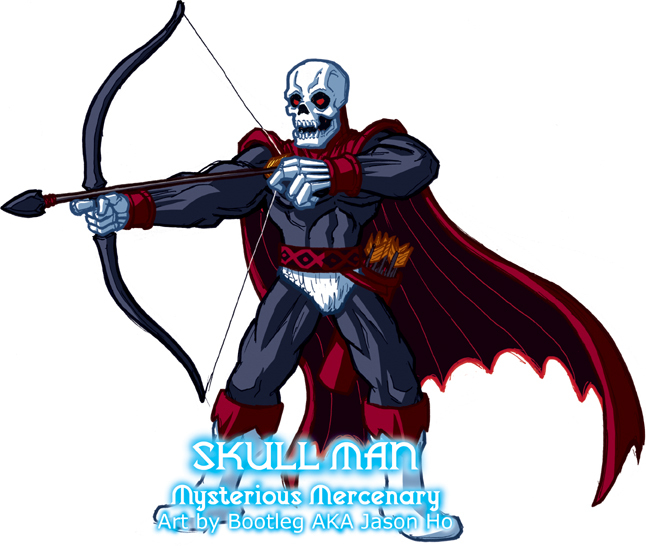 With the help of unseen forces of evil, DARKDREAM stalks Eternia once more! 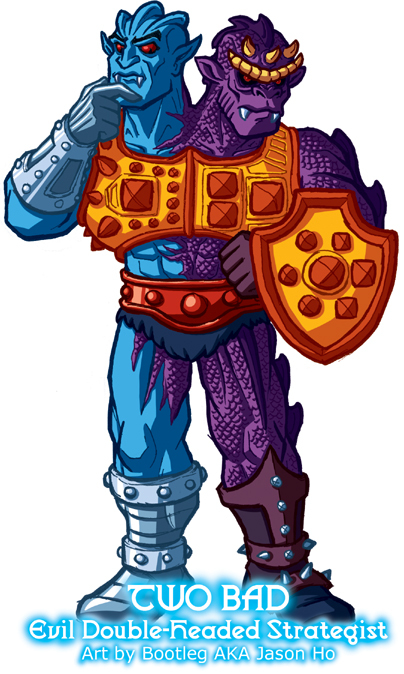 He maintains the ability to put his foes to sleep and control their dreams, but now he has manifested a powerful corporeal body as well, possessing strength to rival He-Man’s! Darkdream can no longer be banished by sunlight–though he is still weakened by it. 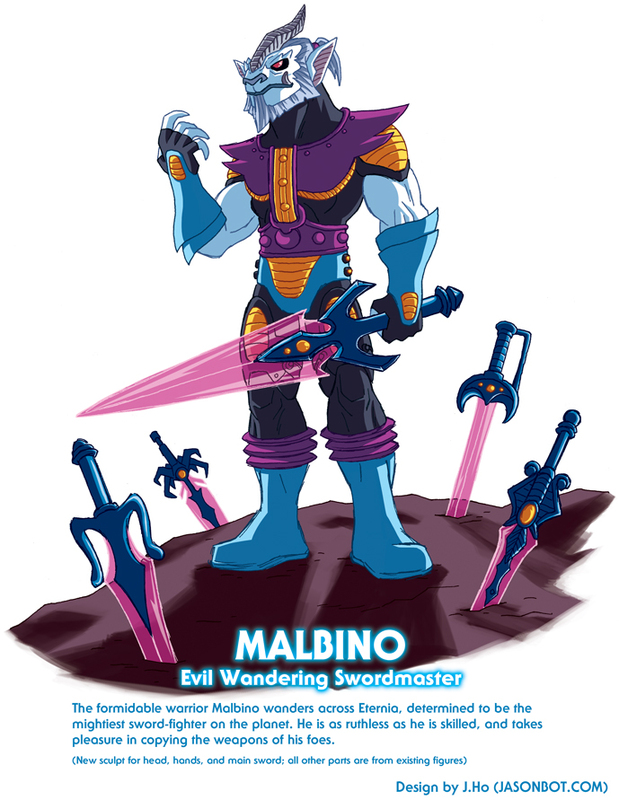 The Master of Nightmares seeks revenge against He-Man, and against his niece Evil-Lyn, who deserted him during his final battle. 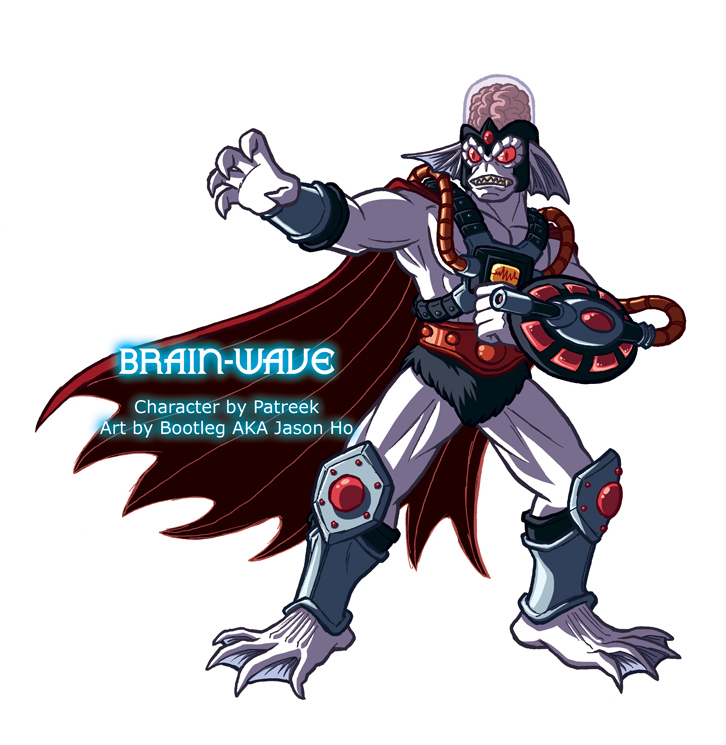 It remains to be seen whether the Faceless One will choose to intervene in the conflict between his brother Darkdream and his daughter Evil-Lyn. So there you go, I just decided that Darkdream is The Faceless One‘s brother. Makes sense, right? Pun linked to title and first paragraph… accomplished! Time to go play video games. Pelikan brand watercolors; black lines inked with Sakura brush pen. Displayed at roughly actual size. 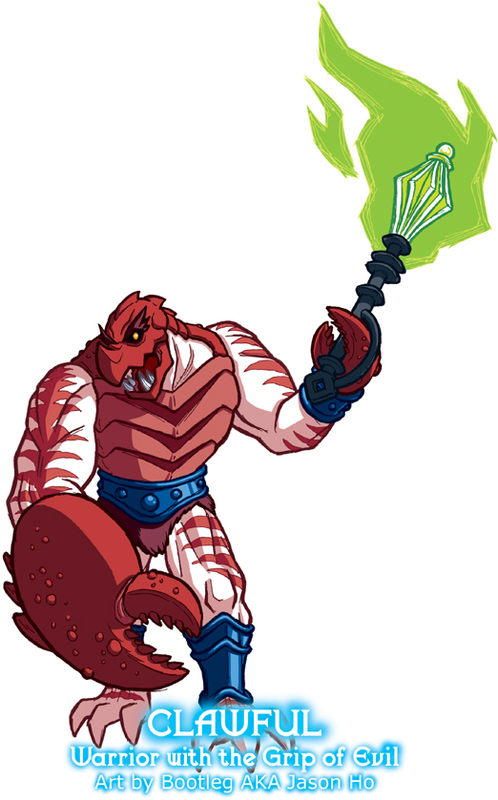 It always struck me as odd that the Clawful action figure looked like a tan guy in a crab costume, so I colored Clawful’s flesh like crab meat. Corny, yes, but I think it works. 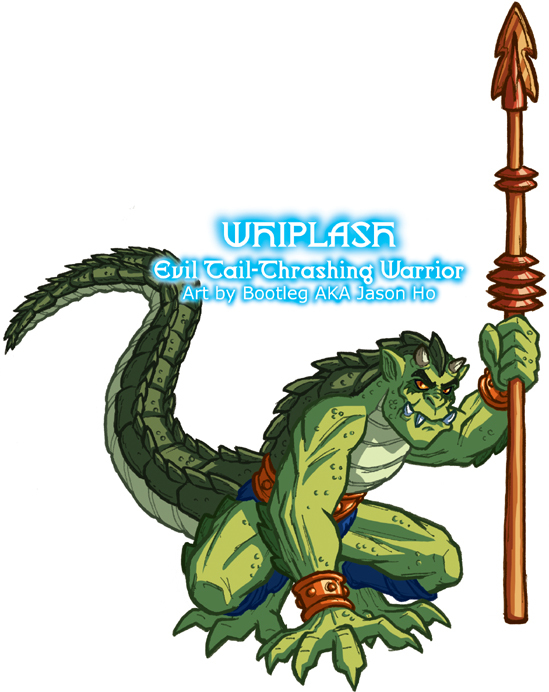 His bewitched, flaming green mace is a nod to the action figure’s neon green weapon. 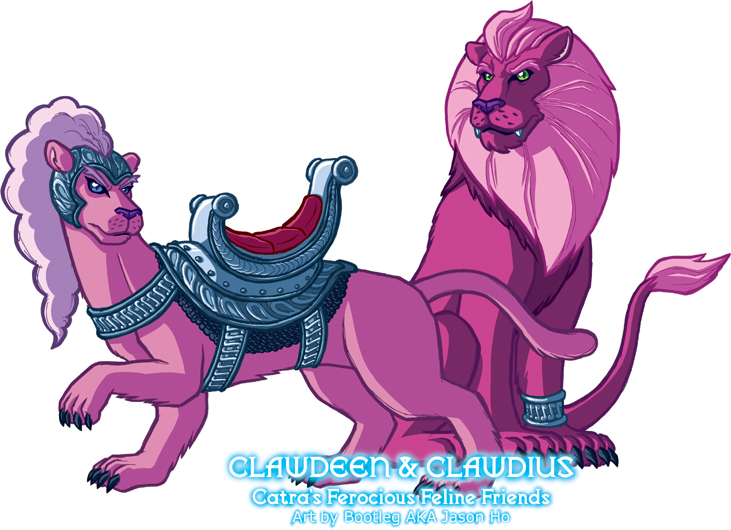 The drawing itself is nothing to write home about… on the other hand, I’m very satisfied with how the colors came out. While Two-Bad was billed as a strategist, he was rarely played for anything but laughs. 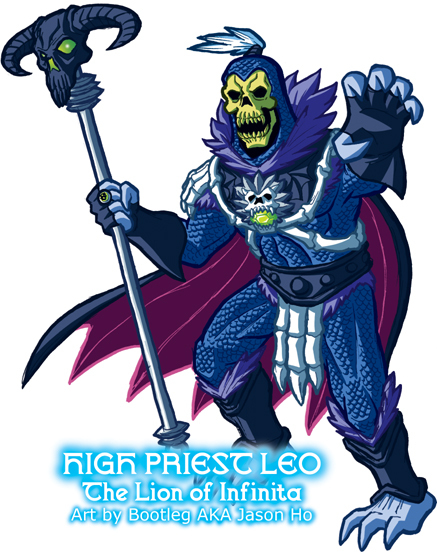 I think he has a lot of untapped potential, and if it were up to me, I would cast him in the role of a genius tactician, Skeletor’s third-in-command (after Evil-Lyn). PROFILE: Horde Prime is infrequently seen without the zealot IFREET at his side. And one can be certain that if Ifreet is absent, he is carrying out the orders of his master. 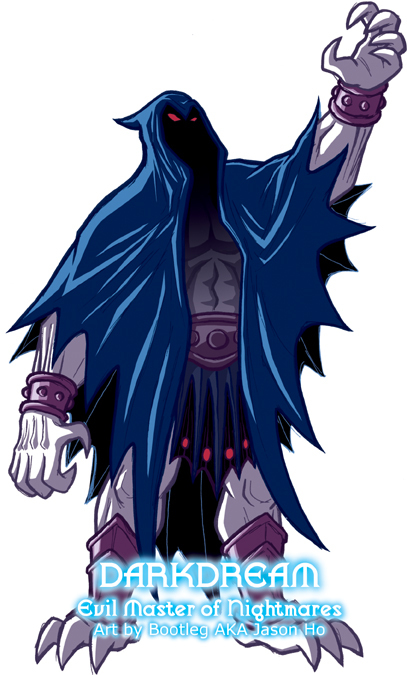 Unquestioning in his loyalty, Ifreet plays a role for Horde Prime analagous to the role that Imp plays for Hordak–something of a cross between pet, valet, yes-man, messenger, and herald. But where Imp’s diminuitive size gives him the added role of spy, Ifreet’s imposing stature instead allows him to perform the function of bodyguard. 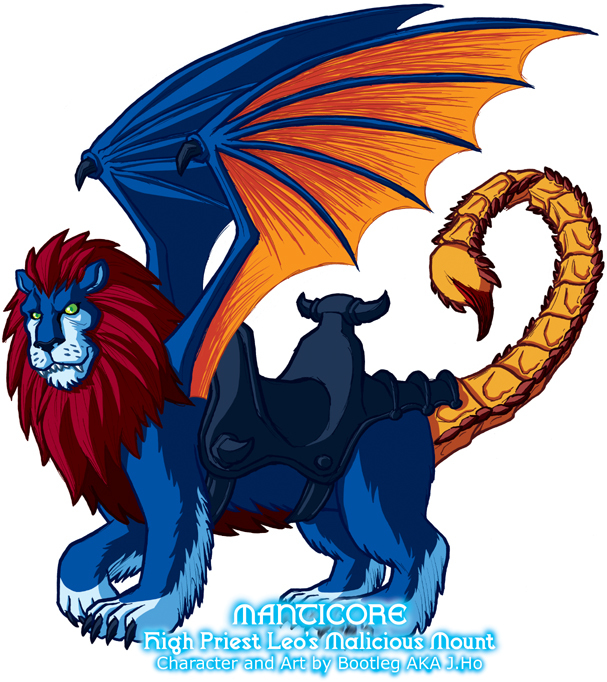 He stands at close to nine feet tall, is capable of breathing hellfire, and has the natural shape-shifting abilities of his race (but unlike Imp, his shape-shifting is focused on combat rather than disguise). 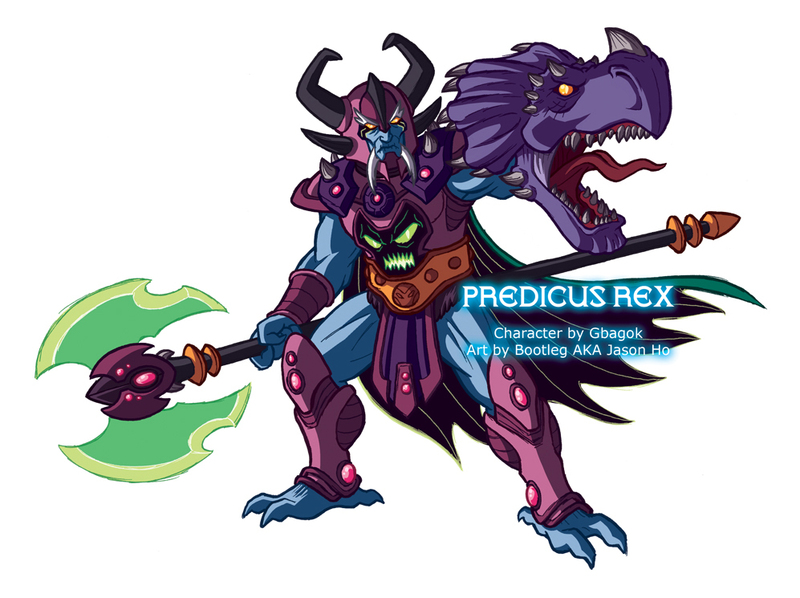 In addition to his innate abilities, consider that his regular armament includes a stun trident and an elite Horde bowcaster, and you will realize that there are few warriors in the galaxy who could prevent Ifreet from executing his master’s will. However, Ifreet essentially has no identity outside of his servitude to Horde Prime. 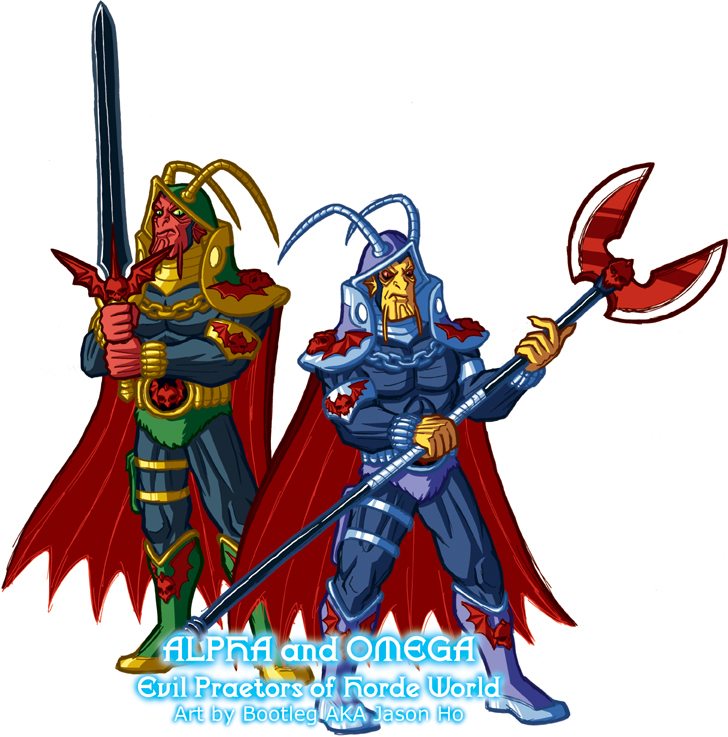 HISTORY: Having been Horde Prime’s trusted servant literally since before Hordak was born, Ifreet has a unique and envied position within the Horde, in spite of lacking “official” power within the Horde hierarchy. Even Hordak resents Ifreet, much in the way that Hordak’s underlings resent Imp. Now, in the wake of Horde Prime’s regeneration and rebirth, Horde Prime is himself leading the invasion of Eternia, which means that both he and Ifreet are more visible and present, resulting in further resentment amongst high-ranking Horde officers. All in all, Ifreet refrains from abusing his advantaged station, however, those foolish enough to defy his master earn Ifreet’s eternal enmity. 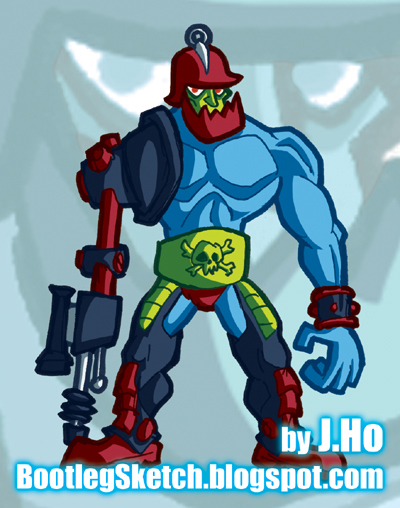 Also posted on the He-Man.org fan-art forums. The thread is here.